Check your calendars and clear your schedule. The best time to visit Prague is just around the corner. In fact, it’s always around the corner. Because the best time to visit Prague is whatever the next season is. Or the current season, for that matter. All year round, Prague constantly reveals new charming perspectives to its red-roofed architecture, hidden gardens, and winding Vltava River. With each new season comes new fantastic weather for outdoor activities. No one can say which time is the best, which is why we’ve broken down the perks of visiting in each season and how to best enjoy the city. Read on to find out when a visit to Prague would be ideal for you. 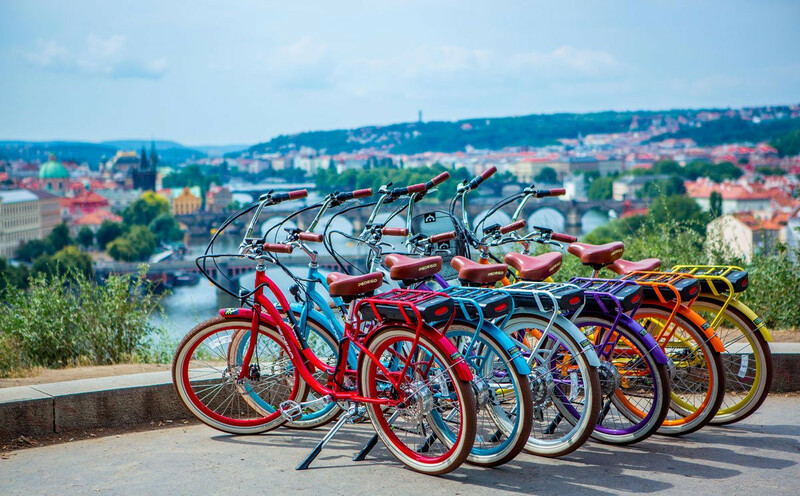 The spring months in Prague brings warmth into the air and more sun in the sky. With so many gardens and parks filling the city, the trees and flowers bloom to life all over the place. Take in Petrin Park’s sloping hillside of trees, the rainbow of colors at the Royal Palace Gardens, and Letna Park’s canopy of leaves. The mild climate makes a stroll through the city or a boat trip a breath of fresh air. Pack up for a bike trip down the Vltava River to Karlstejn Castle and soak in nature coming to life in the 15 – 25°C (60 – 77°F) weather. If urban exploration excites you more, join an e-bike tour to travel the hillsides and many neighborhoods around the city. With summer in full swing, the city undergoes a transformation. Daylight lasts until 10 pm and the locals jump at the chance to enjoy the outdoors. With endless outdoor sports arenas, movie screenings, and festivals of all kinds, you find yourself having to choose where to spend your day. The most popular hangout spots are the riverside, Naplavka, and the Metronome in the middle of Letna Park. 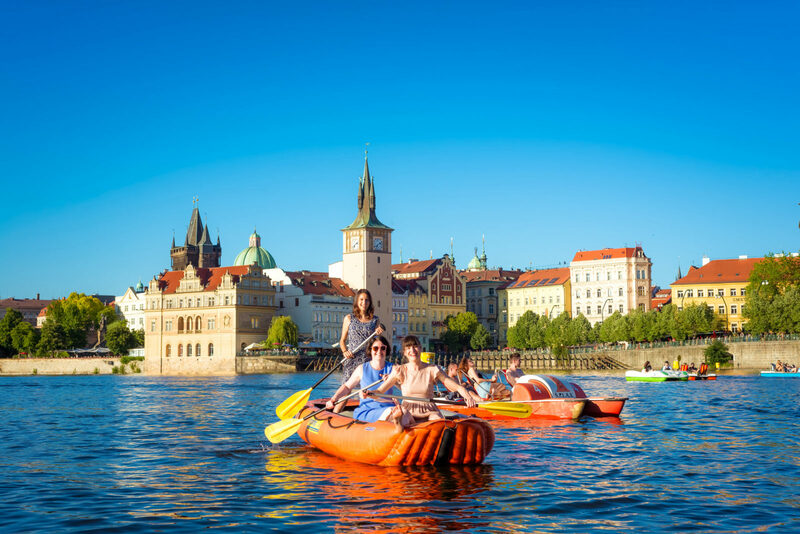 Despite their landlocked geography, Czechs love to be out on the river in the summer. Rent a paddleboard or kayak and soak in the rays from the water. The averages are generally around a mild 18.5°C (65°F), this Central European country can reach high temperatures during the day (25°C; 77°F) then cool off in the evening. As the air becomes cooler, the magic of the autumn colors fills the streets and parks of Prague. Grab your coat and stroll through the falling leaves in yellow, red, and orange. September often begins a bit warmer, leading into the real fall climate with an average of 5.5°C (42°F). 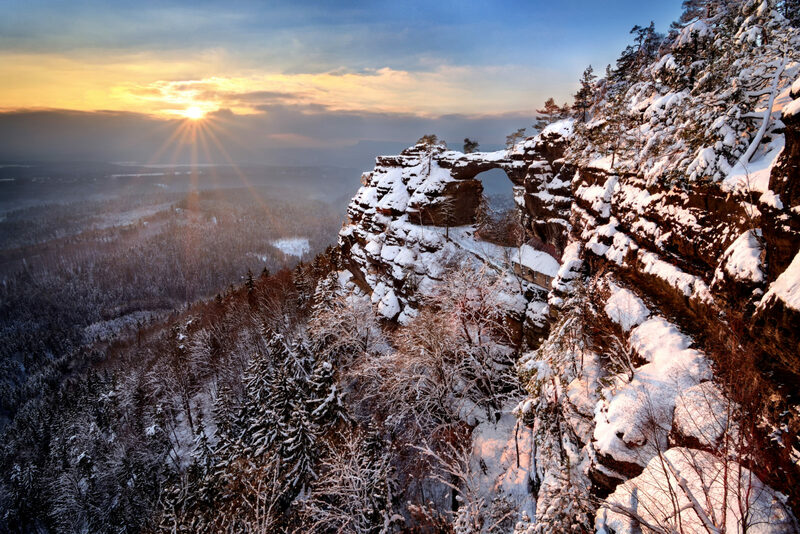 The nearby wilderness of Czech Paradise is an ideal spot to take in the smell and colors of the changing season around the high sandstone rocks. Throughout September-November, a number of festivals keep you outside and exploring. Check out Signal Festival for an evening of art and technological installations blending light, design, and urban space. For a more active trip, lace up your sneakers for a refreshing run through the city and along the paths following the river. While temperatures frequently hit and dip below freezing, this icy takeover brings its advantages. The fairytale air of Prague is felt in the falling snowflakes and foggy layer over the rooftops. In December, the Christmas markets are in full swing. Explore the markets set up in countless squares and sip a hot wine or medovnik (honey wine) as you peruse the market stands. From puppets to amber jewelry, there’s just about everything you need to fill a stocking for your loved one back home. While the cold can drop to-2°C (28°F) during the day and even lower at night, it’s worth wrapping up in layers and experiencing the city in its winter glory. A hiking trip out to the Bohemia Switzerland National Park is all the more magical with a light layer of snow dusting the trees.